Labor Day has been in observance in the United States since the 1890s, designating the first Monday of September to celebrate the achievements of American workers by giving them an official day off. It’s the perfect opportunity to relax and recalibrate to prepare for the busy final months of the year, with that jingle jangle of holiday bells faintly audible in the distance. When I go out in my Brooklyn neighborhood, I’ll be sure to savor what could be my last brunch al fresco of the season in Leyenda’s back patio, or stroll over to Travel Bar for a Summer Manhattan, or go for a crisp glass of Muscadet wine with the impossibly silky squid with Romesco sauce at the newly opened Sunken Hundred on Smith Street. At home, it’s the perfect excuse to enjoy those final lazy days with drinks that take minimal effort to come together! Laborious efforts were put into making these libations, so after all, it’s time to appreciate them while taking a breather. Here are some suggestions for what to sip to stretch out those summery vibes. Cocktail & Sons Haymaker’s Punch: The last thing most of us feel like doing Labor Day weekend is, well, labor. Although most cocktail mixers feel a bit like cheating, this one is so delicious and balanced you won’t feel guilty about putting it in every ice cold beverage you can. 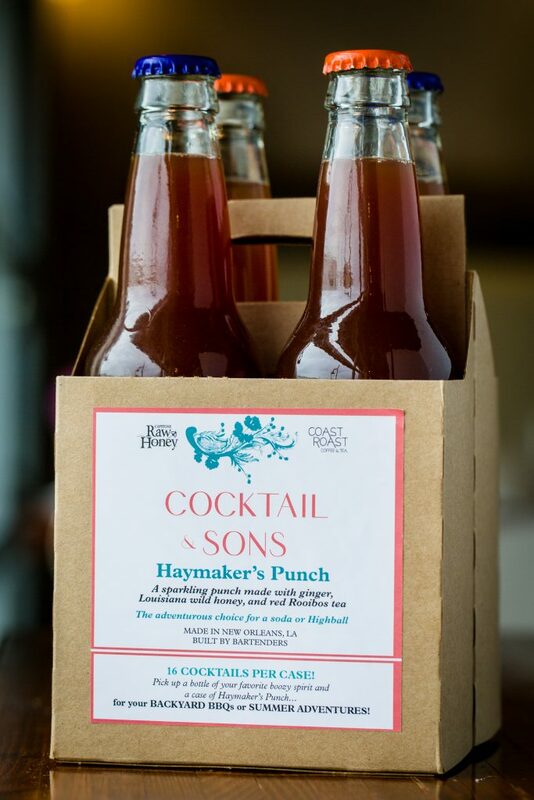 It also fits into the holiday spirit since “haymaker” is the nickname for switchel - a drink consumed by colonial hay cutters (it happens to be a carbonated mix of C&S’s Switchel syrup with Coast Roast rooibos tea). Mix it with almost any base spirit - gins, vodkas, tequilas, rum and/or whiskey - for an easy, laid back and refreshing highball. $12 for a 4-pack of 12 oz bottles, sold online, or at stores in New Orleans and parts of Louisiana, San Francisco, Los Angeles and Houston. What Do You Mean You Only Celebrate Bourbon Heritage In September?